Months ago I bought a bargain 50x70cm Habitat frame from the local tip for the princely sum of £4. Of course I was thrilled with it, but ever since it has been propped up in my small bedroom, getting in the way. I've been umming and ahhing over what to put in it until this week when I finally decided what it needed. 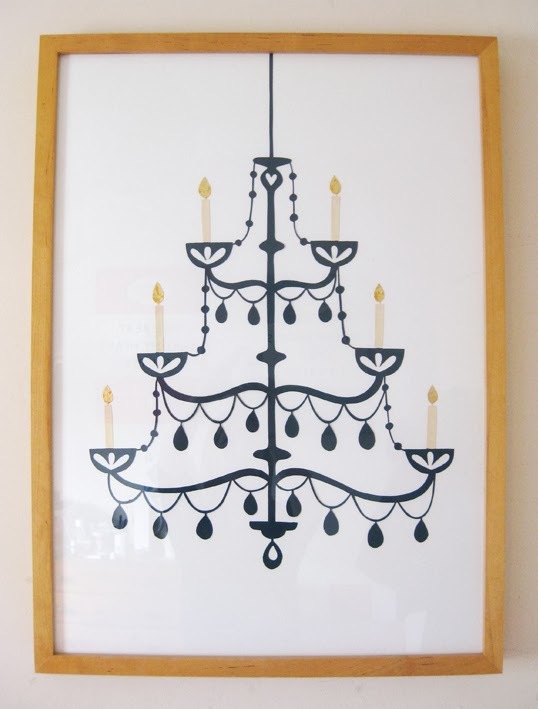 Here's the result - a new chandelier paper cut design. There's gold leaf on the candle flames although this photo doesn't show that very well. Finally, up on the wall where it belongs!